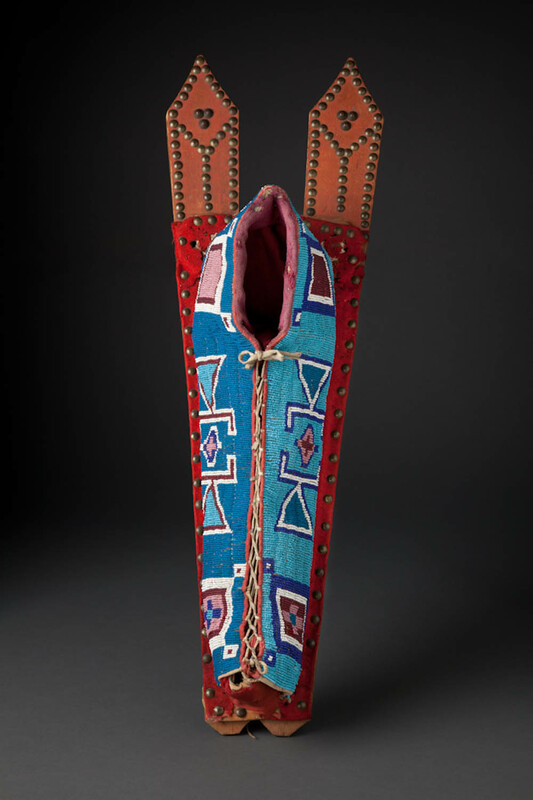 In anticipation of a baby's birth, Kiowa women in the expectant mother's family would create a cradleboard, or baby carrier. The frame and headboard construction remained constant, but there was total artistic freedom in design execution. Swaddling and keeping the baby nearby instills feelings of security as it learns through observation their place within the community from birth.